Elizabeth McGrath QC (Liz) was called to the bar in 1987 and for over 20 years has practiced exclusively in the field of family law. Liz was appointed Queen's Counsel in 2014. Liz appears regularly in complex high net worth financial remedy cases and has particular expertise in dealing with cases involving private limited companies, partnerships and extensive property and pension portfolios. Liz is often instructed in cases in which there are parallel private law children issues with particular emphasis on ‘residence’, ‘contact’, relocation, LGBT parenting and surrogacy. Liz has extensive expertise in public law, acting for Local Authorities, parents and children in the High Court and the Court of Appeal. She has been instructed in a number of complex fact finding hearings involving allegations of sexual abuse and non-accidental injuries, and has appeared in a number of reported cases. Liz’s vast experience across the field of private and public family law, and her down to earth, approachable manner, is known to inspire confidence in her instructing solicitors and enables her to establish a productive and easy rapport with lay clients. Her thorough approach to preparation means that she is quick to identify the crucial issues in complex cases. Whilst Liz gives firm and fair advice with an eye to early resolution where possible, if proceedings require a judicial decision she has a reputation for concise, robust and effective advocacy. Liz was called to the bar in 1987 and for over 20 years has practiced exclusively in the field of family law. She appears frequently in complex and sensitive cases involving children (public and private) as well as cases within the financial remedies remit, dealing with issues involving substantial assets and often where the Court is faced with complex factual and expert evidence. Liz has a proven ability to deal with high conflict issues in a calm and professional manner whilst devoting significant energy to her client’s case. Liz is available for work internationally on all family law matters. Liz acts for wives, husbands and intervenors in cases involving substantial assets and often where the Court is faced with complex factual and expert evidence. In recent years she has specialised in cases involving businesses where the Court has been required to consider forensic accounting evidence in order to value shareholdings and to assess liquidity. She has acted in a number of cases involving minority shareholdings where the issue of quasi partnership has arisen and where contribution arguments have featured. Liz has extensive experience of cases involving significant pension assets where the issue of pension sharing /offset has been the subject of expert actuarial evidence. Her breadth of experience in the field of family finance enables her to give forthright views as to likely outcomes at an early stage in proceedings and in that way to ensure that financial dispute resolutions are as effective as they can be. Liz believes that her expertise in private law children cases can be of significant benefit to those clients facing marital breakdown who need swift advice and able representation on both money and the arrangements for their children, who would prefer to obtain it from one source. Liz acts for parents and guardians (where appointed) in residence and contact cases of great sensitivity and often where the evidence of expert psychologists or psychiatrists aids the courts determination on welfare issues. She is a fierce advocate in cases involving allegations of sexual abuse and parental alienation. Her vast experience in this field extends to cases involving an international element where clients need to be given comprehensive advice on an urgent basis. Liz has represented clients from a range of backgrounds, including those with learning difficulties, and her experience and maturity enable her to establish a rapport with the client to achieve the best outcome possible. Liz acts for Local Authorities, parents, guardians and grandparents/other interested parties, in cases involving serious non accidental injury, sexual abuse, chronic neglect, death of the child and fabricated and induced illness (FII). 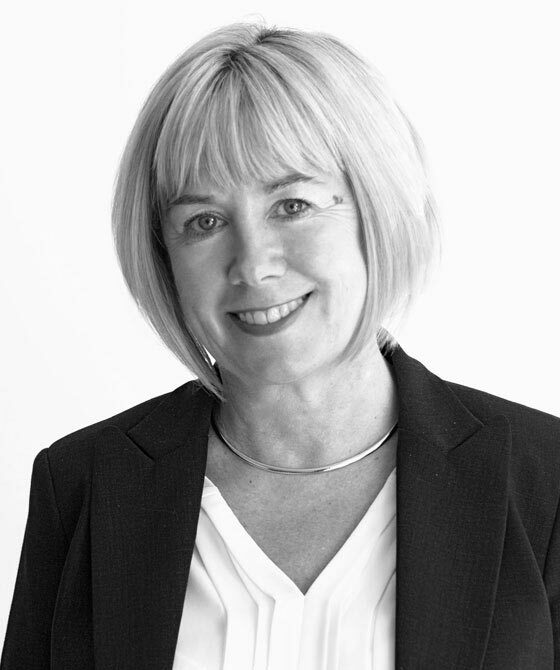 Liz is experienced in complex public law cases under the children and adoption legislation, in particular those involving complex medical issues; cases where placement of children outside the jurisdiction is proposed; cases where confidentiality and disclosure are an issue, including restraint of publication by the media and cases involving the use of the inherent jurisdiction of the High Court. An expert family law practitioner with a broad range of experience. In children work, she has handled cases of abduction and relocation, as well as serious injury and sexual abuse. She also takes on complex financial remedy cases concerning high net worth individuals. She is sought out for her experience in cases with valuation issues. "A heavyweight in family proceedings and a very popular advocate in the Birmingham community." "She is a great advocate and has client care skills." Strengths: "A heavyweight in family proceedings, recently taken silk and a very popular advocate in the Birmingham community." "She is a strong practitioner with integrity." 'Continues to grow an admirable practice in all areas of family law. Covers both public and private children law such as death of children, and also holds expertise in ancillary relief, high net worth business assets and pensions. Strengths: "She is a fantastic barrister and is great to deal with. She provides excellent technical support and is great with the lay client; really human and down to earth." "A heavyweight in family proceedings and a very popular advocate in the Birmingham community."